T-Shirt for wearing with sari. 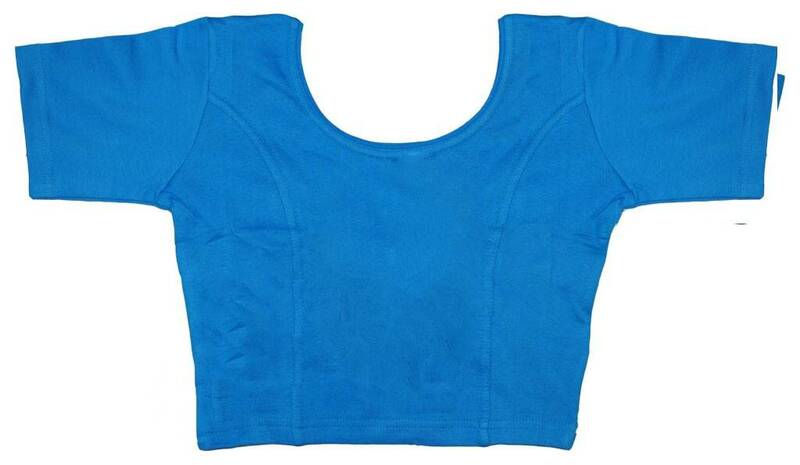 This choli is just like a t-shirt with no opening at the front. Very popular style. Available in many colors and sizes.